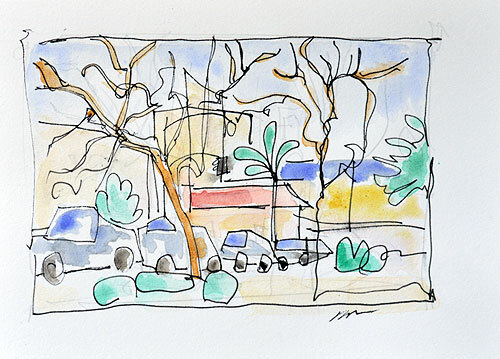 Painted over breakfast on an overcast Sunday in Hillcrest- at Whole Foods Market. 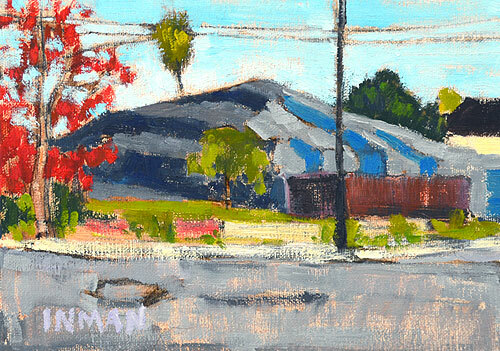 This entry was posted in Landscape Paintings, San Diego Paintings, Urban Landscapes and tagged 5 x 7 inches, california, cars, city, hillcrest, painting, san diego, street, streetscape, trees, watercolor on March 24, 2013 by Kevin. 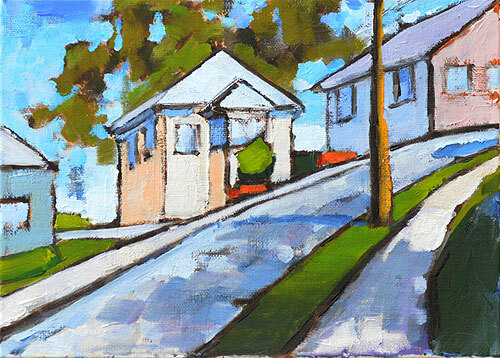 A steep street curves up out of a canyon in the San Diego neighborhood of Mission Hills. I wound up here by accident because I took the wrong street; I’m glad I did. 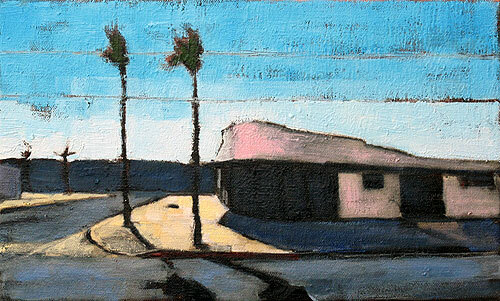 This entry was posted in Landscape Paintings, San Diego Paintings, Urban Landscapes and tagged 5 x 7 inches, california, city, houses, landscape, mission hills, oil on linen on panel, san diego, streetscape, urban on February 15, 2013 by Kevin. 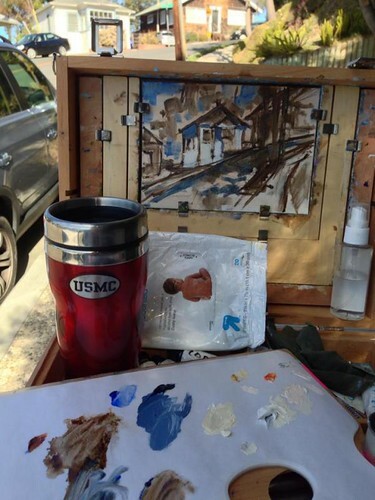 A street corner in Little Italy, San Diego. I think this is Kettner, but I’m not sure. That’s the famous Wyland mural on the building to the left. 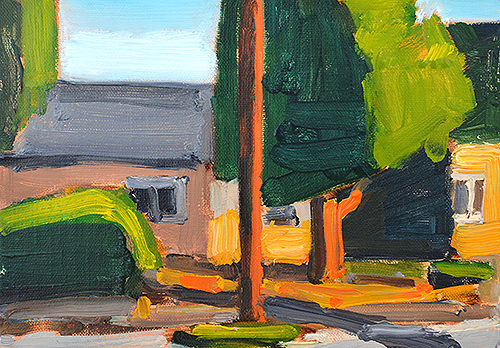 I spent a couple of hours walking around this neighborhood while I was getting my car worked on, and started this painting and a couple of others. I like Little Italy. It’s a mix of Victorian and ultramodern, which I find very appealing… with great pizza and terrible parking. 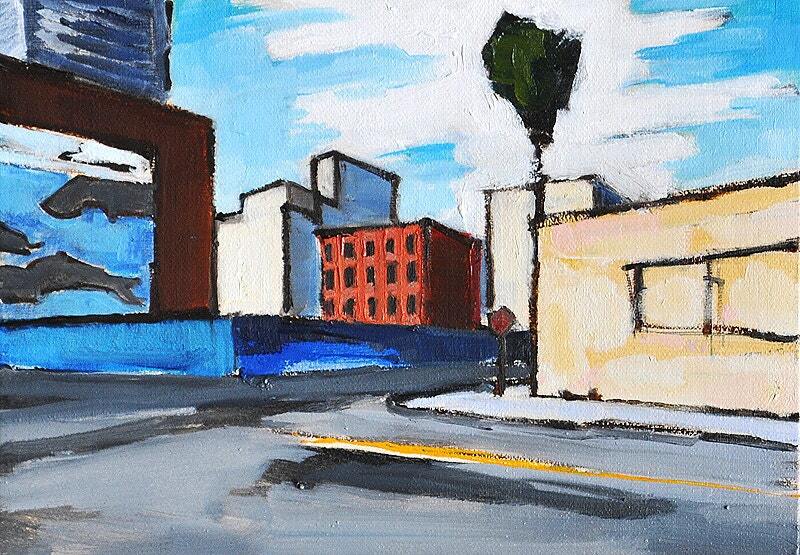 This entry was posted in Urban Landscapes and tagged 5x7, architecture, california, city, cityscape, oil on linen on panel, san diego, street, streetscape, urban, vintage, whales, wyland on June 23, 2012 by Kevin.